The Los Angeles Times recently reported an article titled, “San Jose State Suspends Collaboration with Online Provider,” which details the recent suspension between San Jose State University and the online higher education partner, Udacity. The relationship has been severed due mainly to the fact that over 50% of the students enrolled in the online Udacity courses failed to pass. The final percentage grades of the those who failed online mathematics classes ranged anywhere from 20% to 44%. Why did so many of these students fail? Does the nature of an online platform doom these students to below average performances? The answer is more complex than one may think, but the facts seem to indicate that the online platform was not the issue, but rather the students enrolled were not properly prepared & equipped with the materials needed to succeed in an online environment. According to the article, a number of the students were high school students who were ill-prepared for college coursework. Many of the students who came from low-income communities did not have access to a personal computer, making it difficult for them to complete assignments on or before the class deadlines. Moreover, lack of orientation hours prior to the course start dates may have played a role in the dilemma as well. What are your thoughts on this suspension? Have you ever taken an online course? Share your thoughts in the comments below. 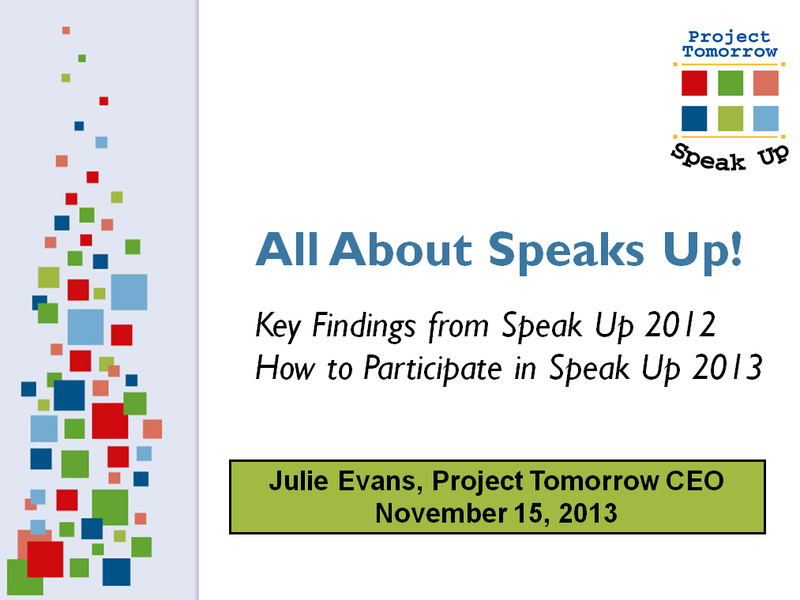 This entry was posted in Speak Up and tagged Julie Evans, online class, Project Tomorrow, San Jose State University, Speak Up, Udacity on July 24, 2013 by Project Tomorrow.